Building a home on a sloping block of land is an attractive option for many people. Perhaps the most obvious advantage you have here is the greater elevation. A house positioned at the top of a hill can provide superior views of surrounding areas compared to those built on flat land, and can also allow more natural light to flow in from different angles. The dynamic lie of the land also allows you to get a bit more creative when designing your home. The low part of the block may prove to be a suitable spot for a garage or a basement, while higher sections might be great for a light-filled living room or master bedroom. Building on a hill can leave your home exposed to natural elements. Depending on the gradient of your block's slope, there's a high probability that you'll need to cut into the hillside in order to create a flat platform that will serve as the foundation of your home. You may also need a series of stilts to form the other end of the base. These methods will probably require retaining walls and a lot of soil displacement, which can be expensive. 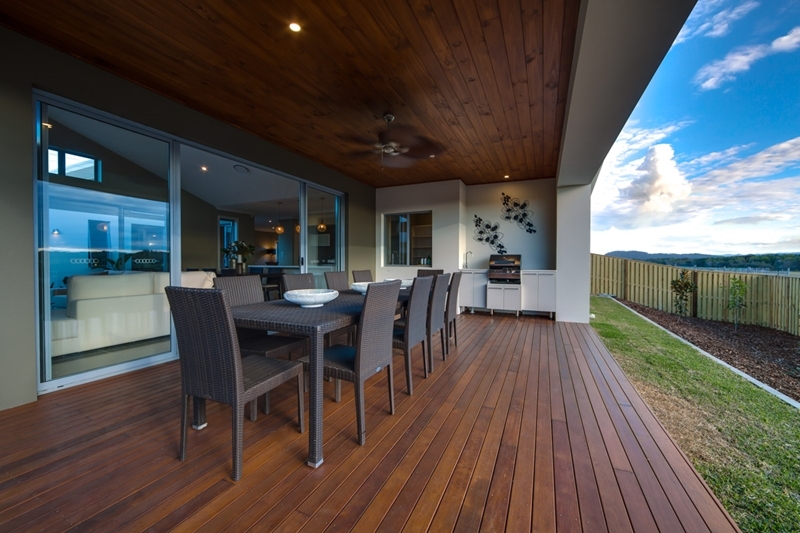 One benefit of building on flat land is the fact that your home will likely be fairly sheltered by natural topography, as well as windbreaks formed by other manmade structures. Building on a hill largely removes this layer of protection, leaving your home more susceptible to the elements. You'll want to take this into consideration when selecting building materials, and think about how trees and plants will fare in harsher conditions. This is particularly true for those of you building in Perth - the windiest city in Australia experiences average afternoon wind speeds of 17.4 kilometres per hour every year according to the Australian Governments' Bureau of Meteorology. The ever-important system of drainage gets a little complicated when you have to take sloping ground into account. Pools of water collecting at the bottom of a steep hill can lead to erosion and require additional retaining walls. If the sewage system is situated uphill, you may need to have a pump installed, while if it's at the foot of a slope it might be necessary to have a drop manhole in place to slow the passage of water. Building on a sloping block is an exciting opportunity, though there are some additional costs to plan for. Keep these things in mind when planning the hilltop home of your dreams!